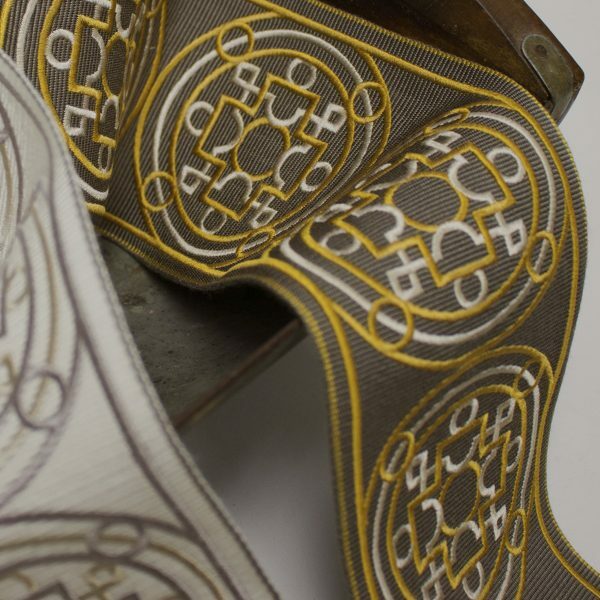 Get your projects noticed with these stylish jacquard tapes. The circular pattern is fresh and adds an interesting element to any transitional or modern motif. The substantial width is the perfect size to enhance your designs and bring them to the forefront.